Comprehensive Peace Agreement Day commemorates the date of signing an agreement between the Government of Sudan and the rebel movement of the Sudan People's Liberation Army in Naivasha, Kenya. This agreement ended the second civil war that started in June 1983. The Second Sudanese Civil War is mostly the continuation of the First Sudanese Civil War (1955-1972). After the end of the first civil war South Sudan gained more regional autonomy from Anglo-Egyptian condominium. The Second Sudanese Civil War ended in 2005 and as the result South Sudan achieved independence from Sudan for 6 years, that was stated in the Comprehensive Peace Agreement. 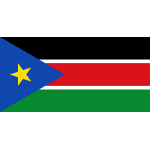 A new referendum held between 9 and 15 January in 2011 had to determine whether South Sudan would become independent country and separate from Sudan or not. Almost whole population of South Sudan voted for independence. The day when South Sudan became independent country is celebrated on July 9.